The expression “a living saint” can be misleading. Certainly, we have encountered people in our own lives who fit that description, as best as we can judge. The Holy Church makes the final decision about saints. We celebrate them especially on All Saints’ Day, and on All Souls’ Day, we pray for our loved ones who are drawing more closely into the aura of holiness. The saints on the calendar are only the tip of the iceberg, and most of the saints who have ever existed are known to God alone. Perhaps churches should have a shrine to “The Unknown Saint” quite as we have a Tomb of the Unknown Soldier. All Saints’ Day is rather like that. My point, though, is that there is no such thing as a dead saint.There are saints alive now, and there are saints who have physically died, but all are alive in Christ and they are “busy” in heaven, to use a temporal metaphor. Some saints capture the popular imagination more in one generation than in another. 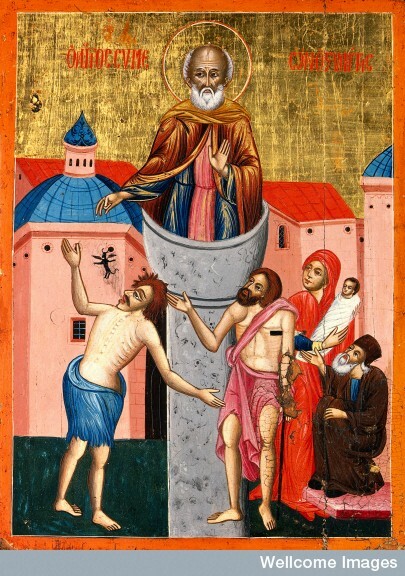 For instance, St. Simon Stylites was admired in Syria in the fifth century for spending most of his life seated on top of a pillar. That is not a useful model for our day, although some may still remember Flagpole Kelly, and not long ago thousands of New Yorkers went to watch a man spend a week on top of a column up the street in Bryant Park. Millions are drawn to Padre Pio, and some are compelled by an unmeasured fascination with his miraculous spiritual gifts, which were blessings indeed, rather than emulating his heroic humility and discipline. 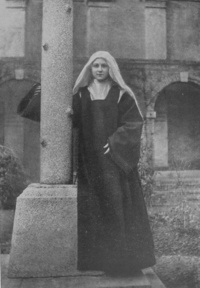 There remains an astonishing cult of St. Thérèse of Lisieux. She was almost the reverse of St. Pio: totally unknown in her earthly lifetime, and accomplishing nothing conspicuous to her contemporaries. She would have remained such had not her spiritual writings been discovered and published. Perhaps she fascinates precisely because in just barely 24 years on earth, she did the most ordinary things with most extraordinary joy. Whenever her relics are taken on pilgrimage to foreign lands (not to mention the one that was taken on a space shuttle), hundreds of thousands pour out to pray by them. This happened most recently in England, where the media were confounded by the huge crowds. Concurrent with that phenomenon, there were astonishing developments in long-moribund Christian life there, not least of which was the announcement of the first papal state visit to Britain and the expected beatification of John Henry Newman, who predicted a “Second Spring” of Faith in England. Then came news of an Apostolic Constitution, which will provide a unique canonical structure to welcome those desiring union with the Catholic Church. Pope Benedict XVI, who well deserves the title “The Pope of Unity,” has shown the power of the intercessions of the saints.